This amazing alfresco extension in Floreat has created an entertaining area the owners are extremely proud of. 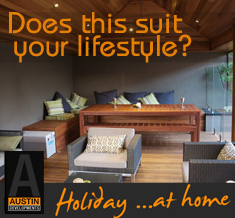 Complimenting the skillion roof poolside cabana and below ground swimming pool the alfresco completes the flow of these outdoor living spaces to the main house. The alfresco roof has been tied into the existing house which gives the impression that the house is larger and also creates an extra room for the family to live in. Louvre shutters give flexibility to close off open the alfresco to suit the weather. A continued theme of the rich cedar timber lining contrasting the white neutral colours and offers a finished product that is elegant and smart without the large price tag.